Spruce up your bedroom with this Greely comforter set. 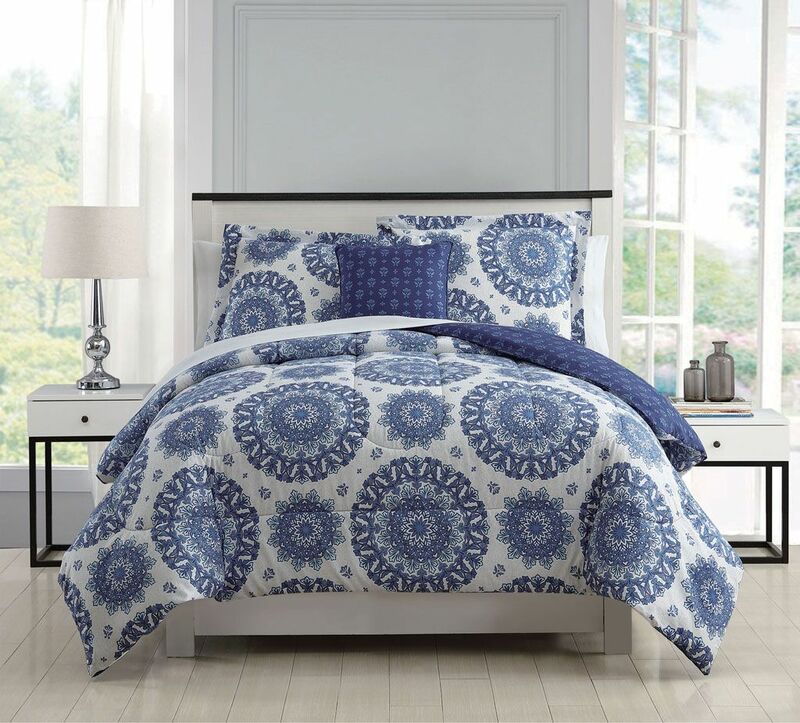 Decked out in grand medallion pattern in navy and white, this bedding set adds a chic appeal your decor. Matching sheet set included.